A city man was taken into custody on Saturday evening for allegedly dealing drugs at the intersection of Carroll and Governor streets, according to Passaic County Sheriff Richard Berdnik. 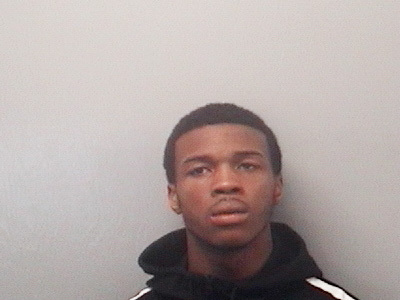 Isiah Robinson, 19-year-old, had 160 glassine envelopes of heroin and 19 vials of crack cocaine, authorities said. He was charged with possession, distribution, and distribution in a school zone at around 8:40 p.m. Authorities received information from a concerned citizen that an individual matching Robinson’s description was dealing drugs at the intersection. Sgt. America Escobar responded and observed the intersection and saw Robinson pacing back and forth holding his right front pants pocket. Escobar saw an all-terrain vehicle (ATV) pull up and make contact with Robinson who was on foot. At that point, Robinson reached into his pocket, pulled small items from a large zip lock bag, and handed them over to the ATV operator, authorities said. ATV operator sped away from the scene. Robinson was placed under arrest and searched for drugs.